Hi! 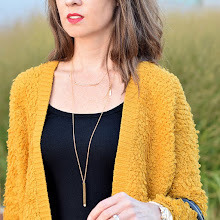 I am Lisa and I blog over at Daily Style Finds! Today, we are starting our new Self-Help/Advice series called 5 Ways to be a Better… Each week we will share tips on how to be better at everything from cooking, a better spouse, or even a drink mixologist. 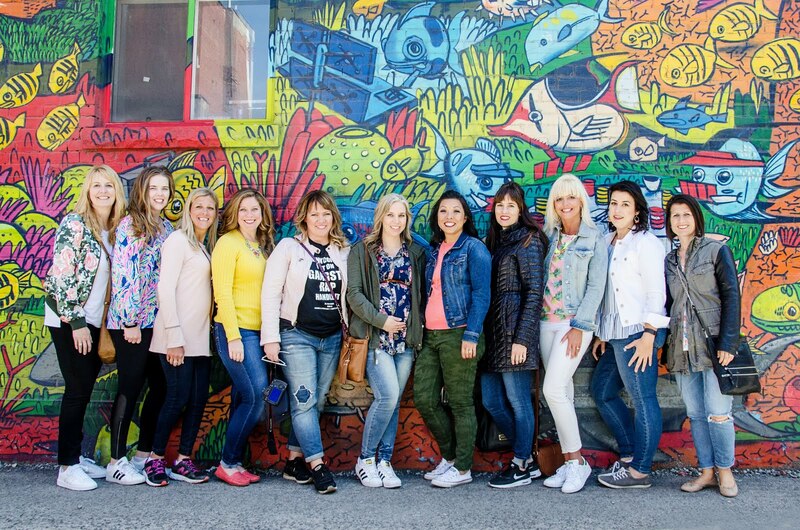 So, be sure to check back each Monday for a little help from The Blended Blog ladies. 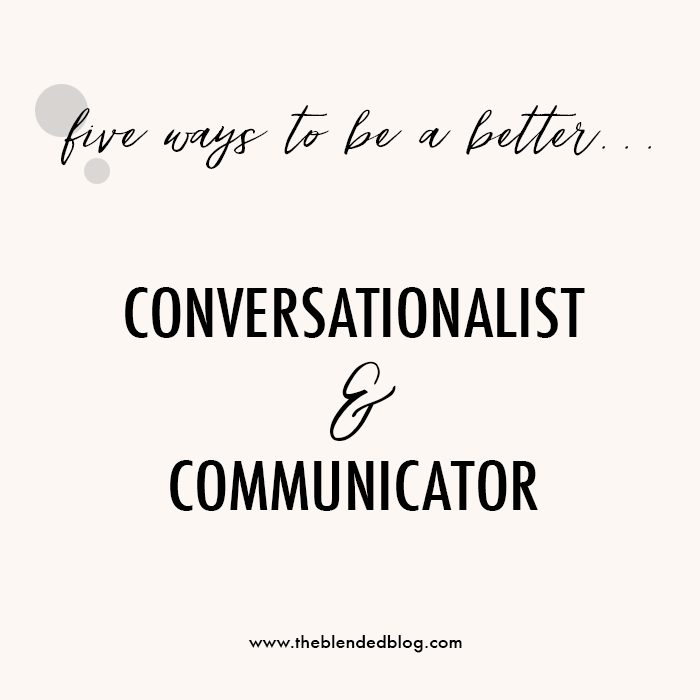 I am starting off the series with 5 WAYS TO BE A BETTER CONVERSATIONALIST and COMMUNICATOR. With all the distractions of life with cell phones and busy schedules, it is easy to become distracted and try to multi-task, rather than truly listening and engaging in a two-way conversation with someone. One of my top pet-peeves are people who are busy on their phones or "problem dump" on me and then run off before they ever give me the time to talk. I am sharing 5 tips to becoming a better conservationist and communicator, and in turn a better friend, spouse, or even co-worker. I believe that if we truly communicate with those we care about - it will build a better foundation for our relationships. We live a in a tech saturated society. With our smartphones, Apple watches, tablets, computers, and all our distracting pieces of technology that we carry around or are connected to 24/7, we never really disengage unless we make a conscious effort to. If you are talking with someone in person or on the phone, be present with that person. Do not be checking emails, sending texts, checking Facebook or Instagram. Give the person you are talking with your full attention. If you are busy doing other things, you really cannot fully focus on the person, which makes the person you are talking with seem unimportant. Also, if you are busy looking down at your phone or computer - you cannot give the person eye contact to show you are engaged with what she has to say. Nothing bugs me more, than when someone says - go ahead I am listening and at the same time is checking her phone. I do not know how she can be reading her thread of text messages, and listening to me at the same time. She can't! That text is another conversation that is happening - and her mind has most likely gone to that thought or event. So be focused on the person you are with - and not distracted. In order to truly communicate, you need to make the time. This goes along with #1 of not being distracted. In order to be available to have a conversation with someone, you need to make the time. You need to see the person you are talking with as time well spent - and something you are willing to invest the time in. I think sometimes we selfishly don’t want to give people our full attention because we want to use that time instead to check things off our “to do” list. We think that if we multi-task we can get two things done, rather than one. Having a conversation should not be seen as a “to do” list task. We talk to people to engage with them, share in their day - and find out what is happening in their life - both good and bad There are times when we will need to be a comforting friend - when our friends are struggling. We are to bear one another's burdens, and we cannot do this unless we give our time. We also need to take time to listen. Listening does mean listening until they stop talking, so that we can jump in and share what is happening in our life. Listening means being engaged in what the other person is saying - taking in everything they are saying, so that when they are done talking we can respond to what they have said. If we have been listening we can respond with a follow-up to what they just said - rather than something unrelated. And, by responding that does not always mean offering help. Sometimes the person just wants someone to listen - not give them a "well, have you tried this" or "this is what I would do". Just listen and offer comfort. This goes along with listening. If we have been truly listening to the other person talking, we will be able to respond with another engaging question or comment that relates to what they just said. We can continue the conversation, rather than derailing it to our own topic. I learned in my sales training many years ago that in order to engage with someone it is best to ask probing questions - those that allow for more exhaustive answers - rather than merely yes/no. So, when you are talking with others - ask them about something they are interested in - or something they might want to talk about. It shows that you take an interest in the person and care about them and what is happening in their life. A conversation is just that - an informal exchange between people. It is an exchange - not merely a one-sided "speech". A conversation is two-way - a give and take - back and forth. Do not make the conversation all out you. Do not dump everything you want to say - and then, say - well, I gotta run. That is not a conversation. Stop talking just about yourself - your problems - and what is going on in your life - turn the conversation back to the other person and allow them time to talk about their life. And, when you do allow them to speak - and listen. With all the technology, we now can connect with a lot more people, but we have really lost the art of being a true conservationist - one that listens and really cares about what someone has to say. In order to grow any relationship, we need to give our conversations the time and attention they deserve. I challenge everyone to really spend time listening, and actively engaging in a conversation this week.